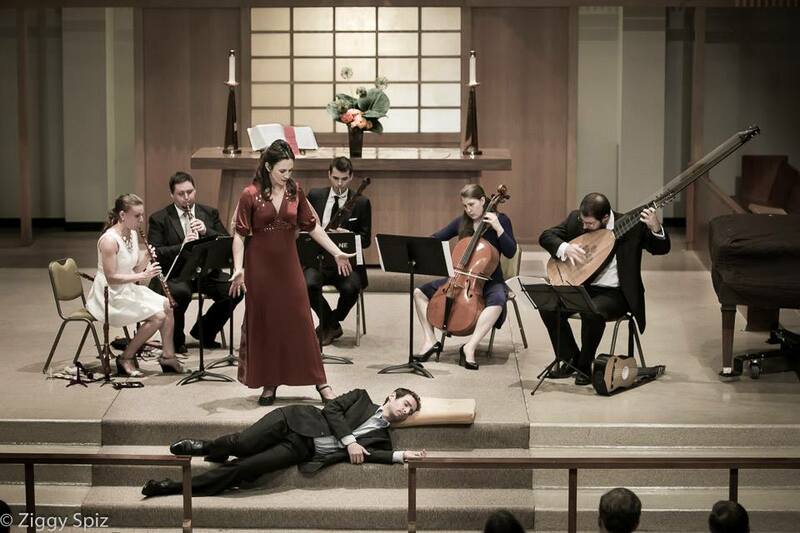 SacroProfano is a vibrant new early music ensemble in the Pacific Northwest. We are dedicated to bringing the music of the 17th and 18th centuries to the communities surrounding Seattle and Portland. Get involved! There are many ways you can help! Please email us at info@sacroprofano.org to join our mailing list or if you have any questions! 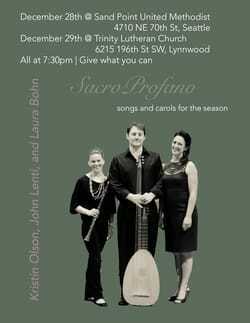 Performed by SacroProfano members Kristin Olson, John Lenti, and Laura Bohn. Sure to warm you up during this darkest time of year.